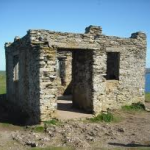 Burgh Island, situated directly opposite Bigbury on Sea, is steeped in history and legend, being a one-time haunt of pirates and smugglers, and a hideaway for the rich and famous. 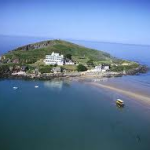 The famous Grade 2 listed, art deco Burgh Island Hotel has been visited by many well-known figures of the 20th century – Noel Coward, Agatha Christie, Edward & Mrs Simpson and Winston Churchill to name but a few. 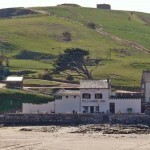 Burgh Island was the setting for one of Agatha Christie’s books “Evil under the Sun”, as well as numerous TV programmes. It is now a luxury hotel. 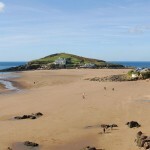 Burgh Island is connected to the mainland by a lovely sandy beach. This beach is covered daily at high tide. 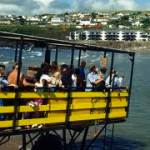 Visitors can still reach the Burgh Island shore by way of a ride on the famous “beach tractor”. The Pilchard Inn, initially a 14th century hideout for those wishing to keep a reasonable space between themselves & the law. The most notorious smuggler was an Elizabethan smuggler called Tom Crocker, who was allegedly shot outside the Pilchard Inn by a Revenue officer. The Inn is situated at the foot of the island & is a good place to enjoy a leisurely drink on a warm summer’s day.